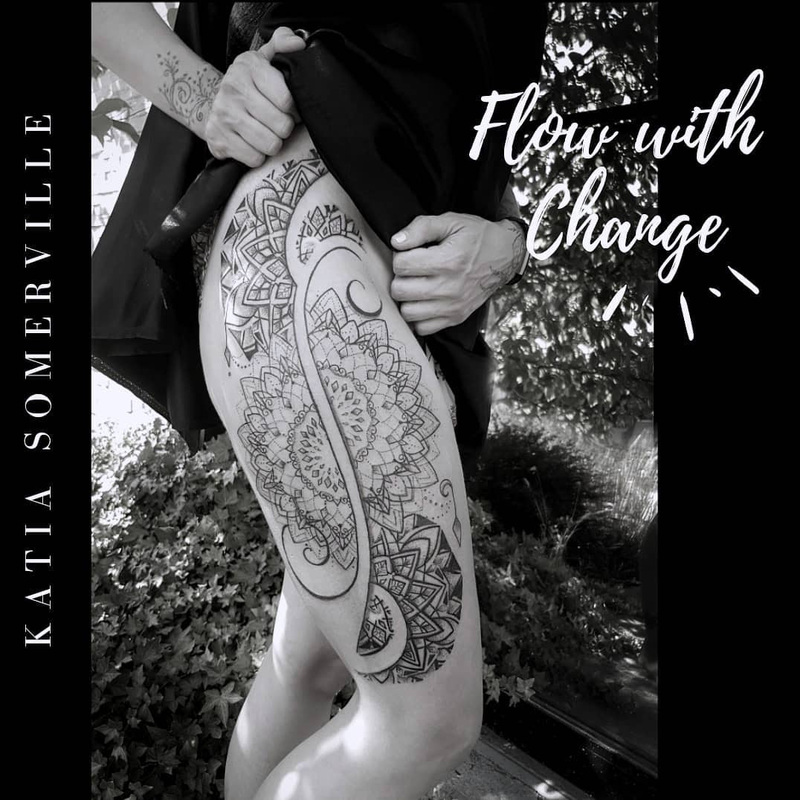 In September, after the yearly art jam in Powell RIver with talented painter, Autumn Skye Morrison, Katia is preparing for her trip to Amsterdam and Poland, where she will be tattooing alongside other geometric tattoo artists from around the world, hosted by Piotr Szot. 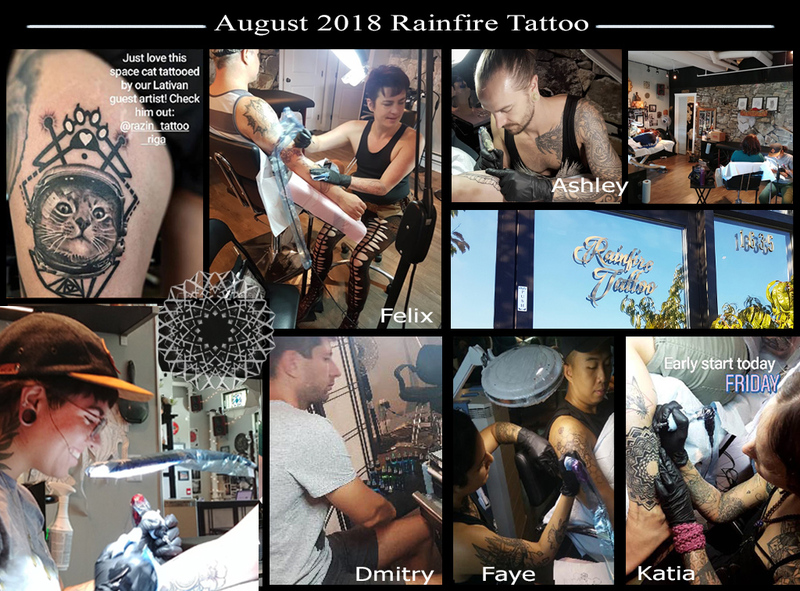 She will be gone most of the month, travelling with fellow tattoo artist Jacquelina Divina, and 2 others. They will also be visiting some castles. 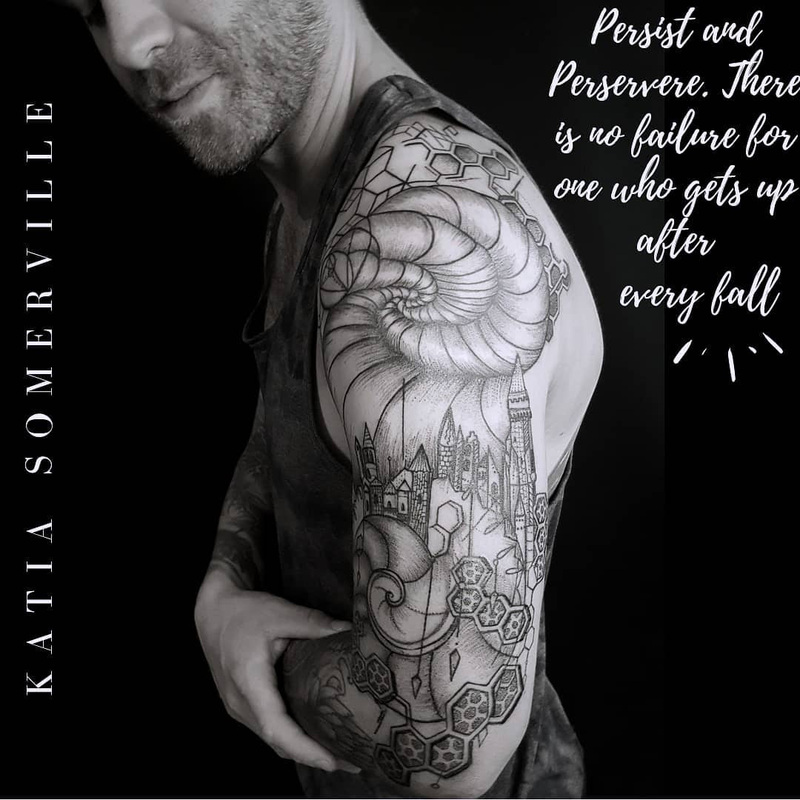 To follow their journey, see Katia's Instagram Story. The other Rainfire artists will be tattoing while Katia is away. Faye is currently taking bookings. Click on her name to check out her portfolio. 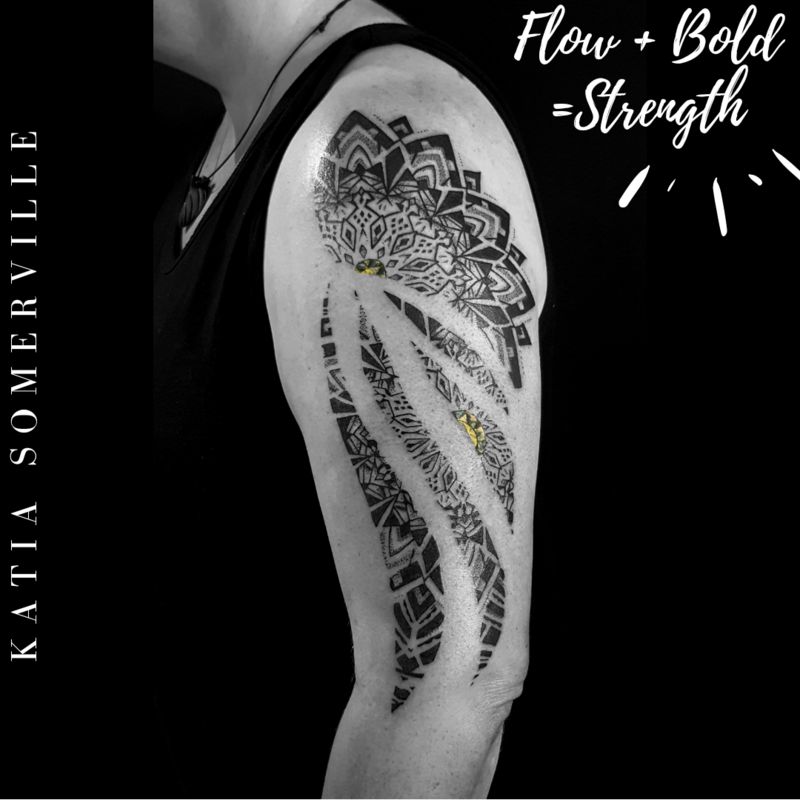 Katia will available to tattoo the new designs below, beginning in November. Rough-Fulled- Nature can surprise us and repulse us with its necessary intricacies of the monstrous and macabre. 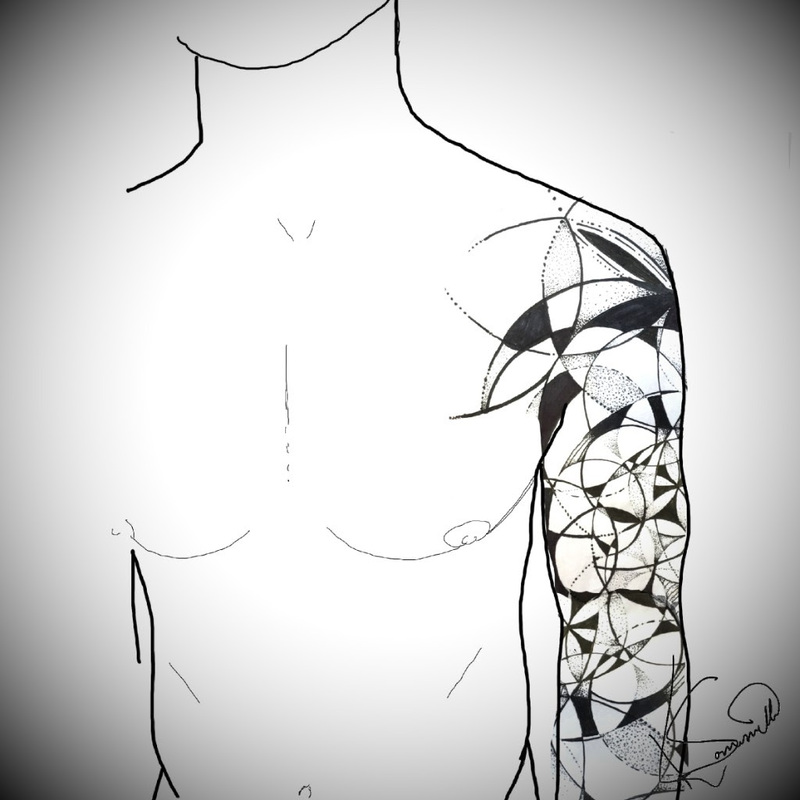 This design would suit a male or female. Your choice of design between the two shown. 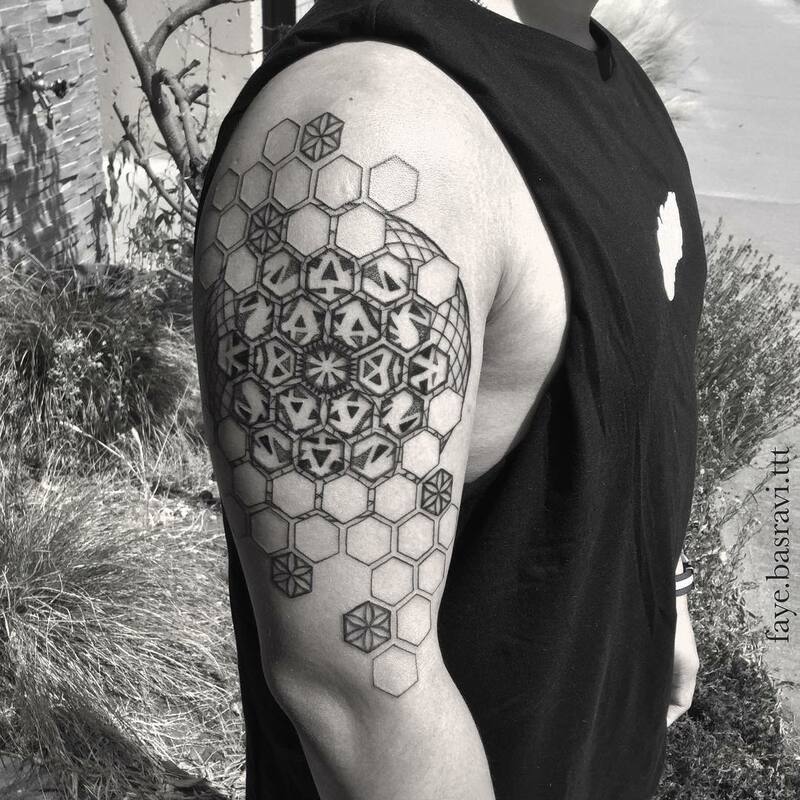 Iconic Icosahedron- Love, like water, has healing powers; most effective with patience and consistency. 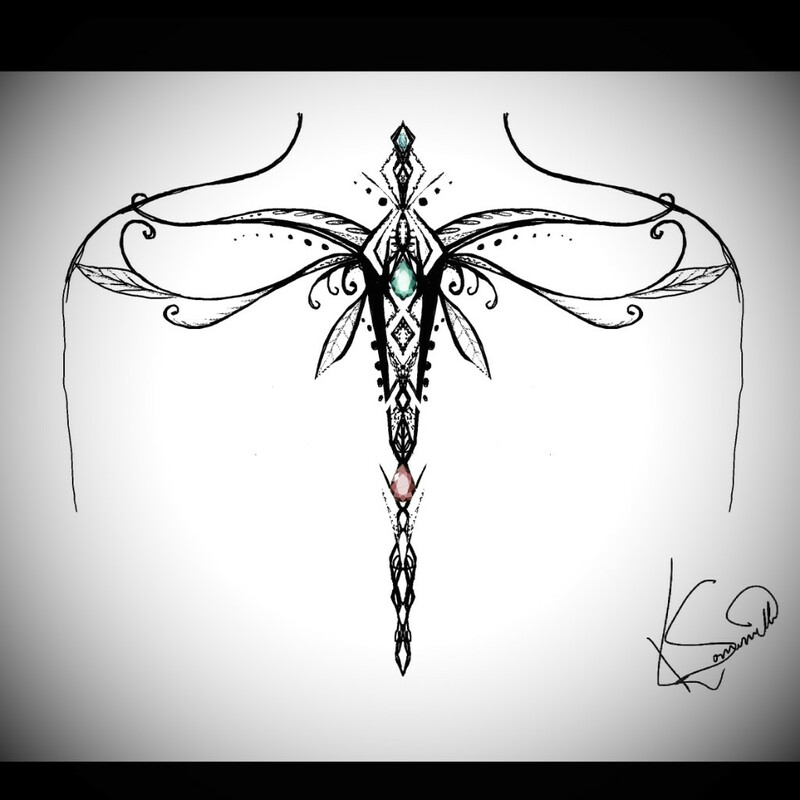 Drawn for a female sternum. 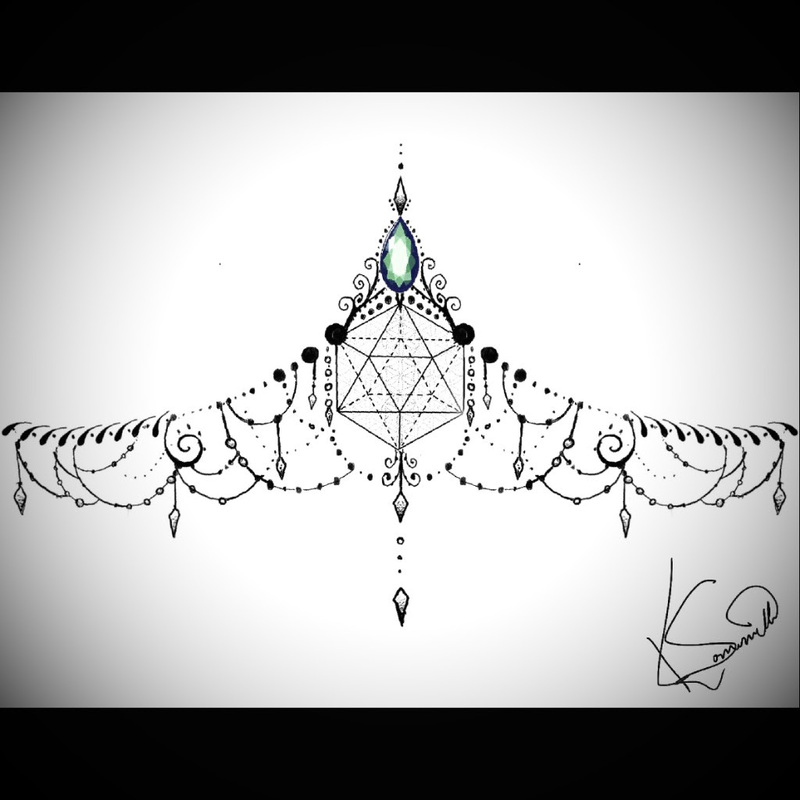 I would love to tattoo this on a back, although the chest would look amazing as well. Vibrant Transparency- The more layers and patterns are revealed, the more clear they become. 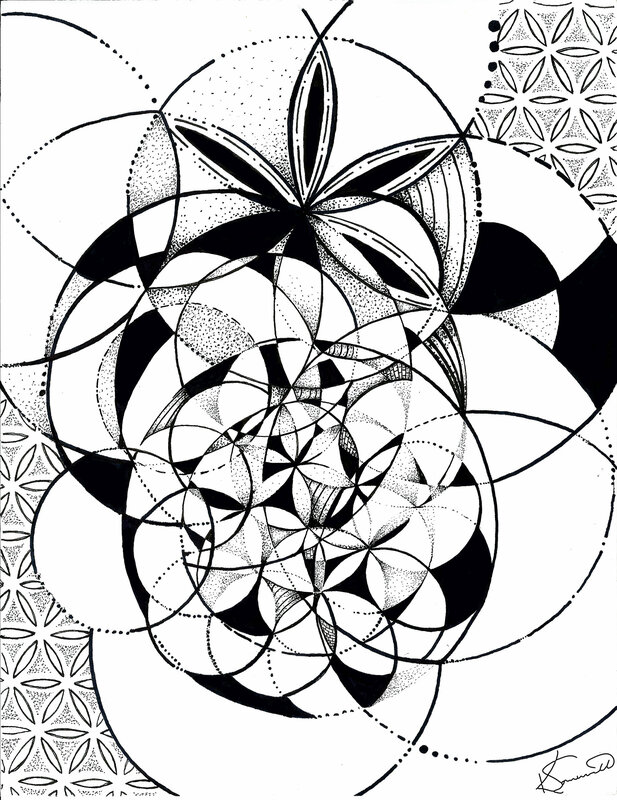 Click on the image for a full version of this design. 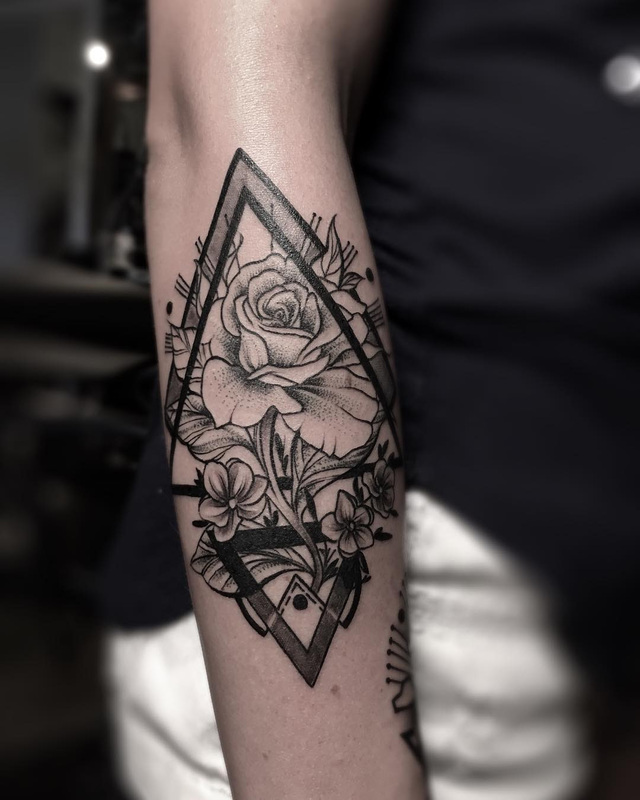 Would look good in many places, including between other tattoos, the ribs, the back, or wrapping around a leg. A trust tattoo is a process in which the recipient of the tattoo will only see the piece upon it's completion. This often includes wearing a blindfold throughout the session. This requires a high degree of trust between artist and client. 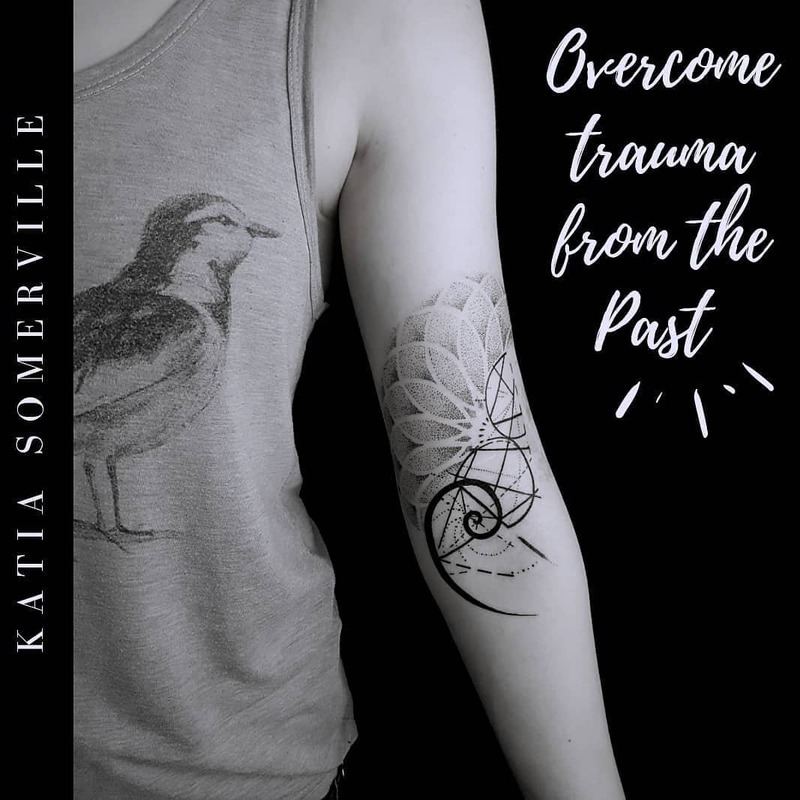 Katia will have a conversation with you a few days prior to the session, and the design will be created following this discussion. 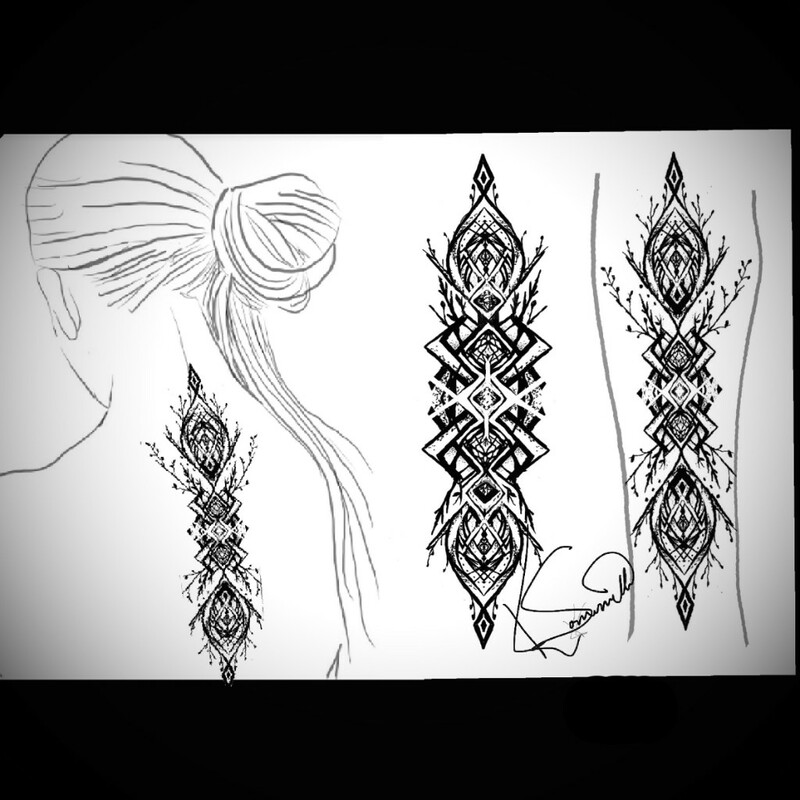 > Each design will only ever be tattooed once and the recipient will be chosen mostly at random. 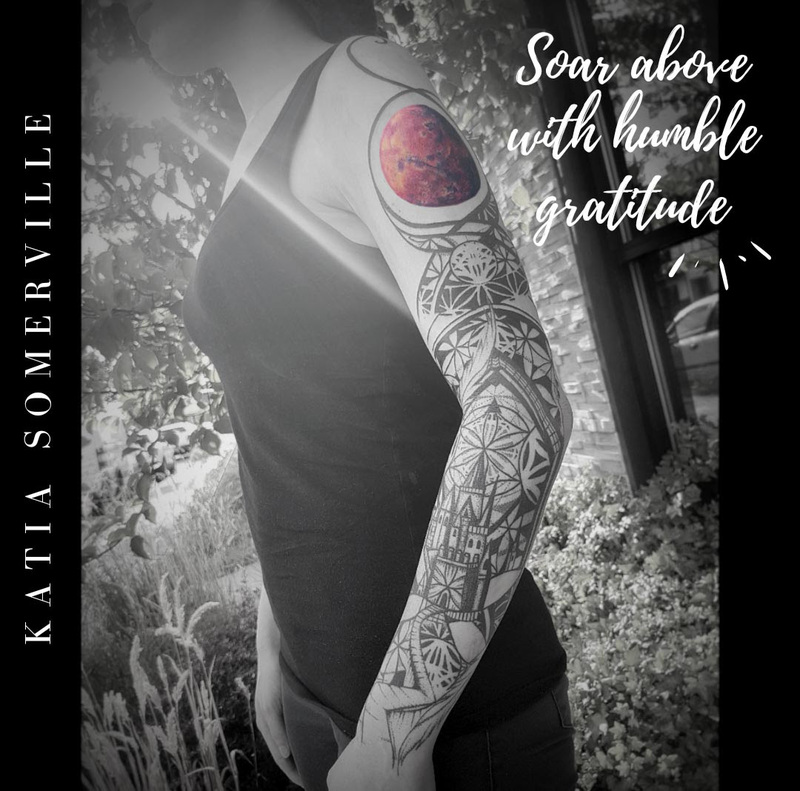 This month Ashley Apok is offering a charity tattoo to raise awareness for the threatened Sockeye Salmon of our beloved West Coast. 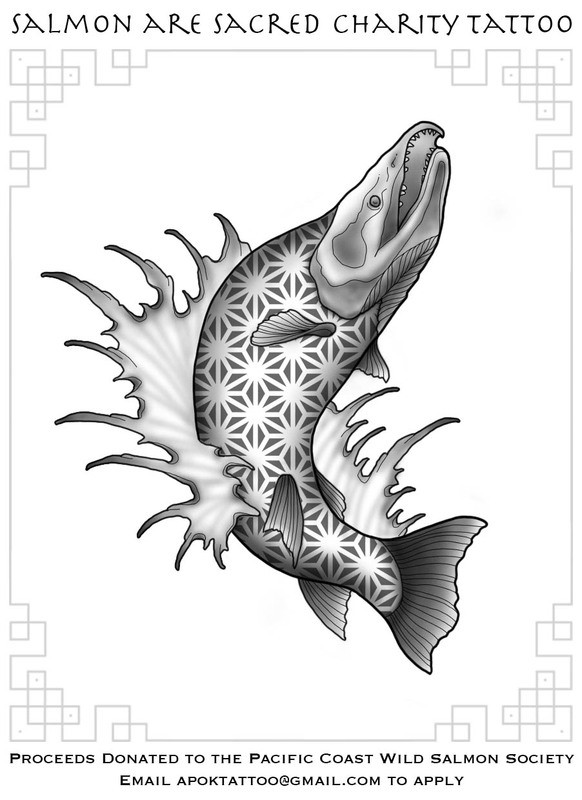 This design would look awesome as a calf, thigh, or arm tattoo- please specify your preference. Music, Motivation and Mastery- Perpetual motion of creative invention and dedication to excellence. Hang on and don't let go. Life tends to throw big obstacles, which may seem like gigantic mountains in your path. But nobody trips over mountains, its the stones that cause you to stumble. So let yourself stumble but keep moving forward. You win by refusing to be discouraged by defeat. I've been contemplating change lately, since visiting family. I know it's inevitable, things changing around us, however are you resistant to it or do you welcome it? I have friends who don't like change, and try to keep their lives the way it is. Perhaps it's fear of the unknown, or the comfort in familiarity. 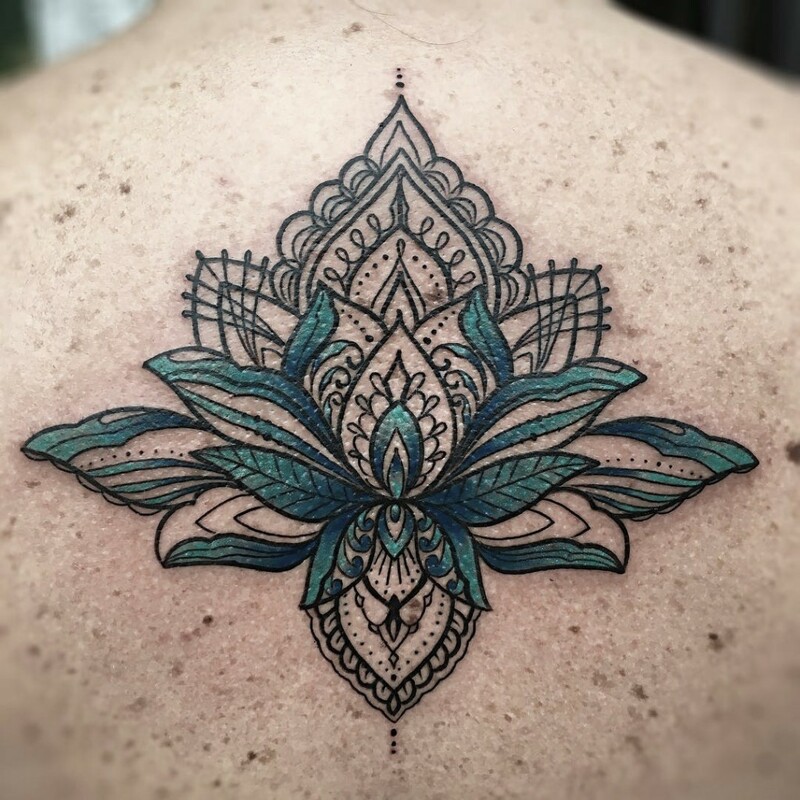 Trust Tattoo as Jessica's FIRST to cover self-harm scars from her teenage years. My first tattoo at 16 was done in a biker shop and the artist had his phone under one ear while he was tattooing me. It was a little gecko I picked off the wall and I decided to get it on a whim. I remember thinking it hurt so much I would never get another one. After I got back home I decided that now I had a gecko tattoo, maybe I'd get a pet lizard. A trust tattoo on a marathon runner who wants to eventually get both legs completely covered. Suspense - When life is viewed as a mystery, everything is a clue. I watched the standup comedy show 'Nanette' and was profoundly moved by this stunning piece of art. Being embodied as a white, gender-normal male, I found myself made uncomfortable as this Woman first made me laugh, and then cry as she shredded entrenched patriarchal and mysogmistic perspectives. The raw, and vulnerable beauty in which she delivered these mortal blows to outdated ways of thinking was breathtaking. I highly recommend it. Wow, feeling so much gratitude for this Woman for her strength and courage! Thank you Marci, for your warmth and care. And thanks for the great convos too! Thanks Jodi! What a fun afternoon hanging out chatting about island life, travel, & food! 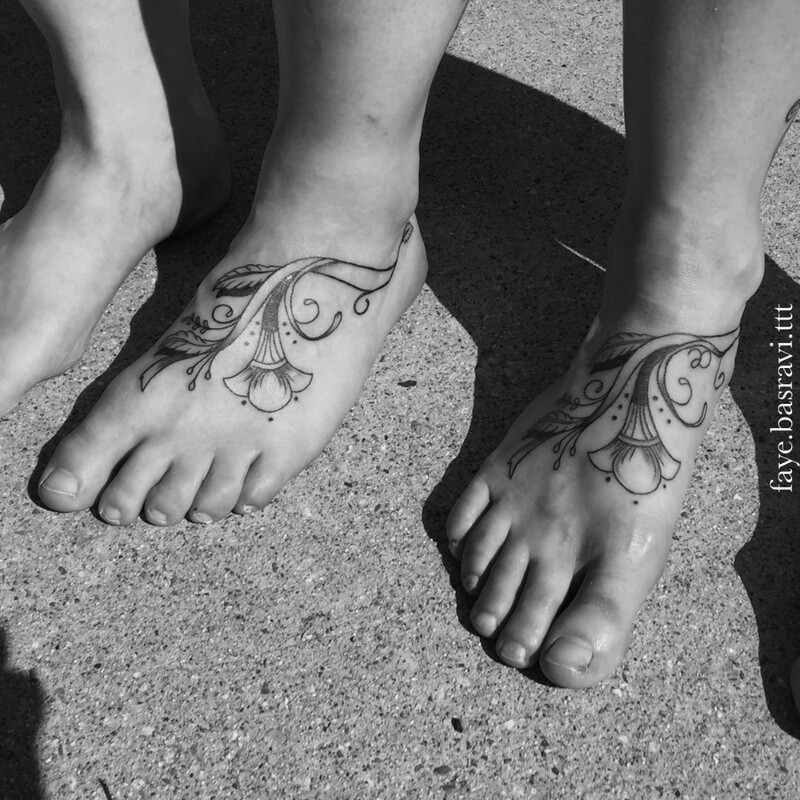 I look forward to our next tattoo. Back to some geometry with Kevin! 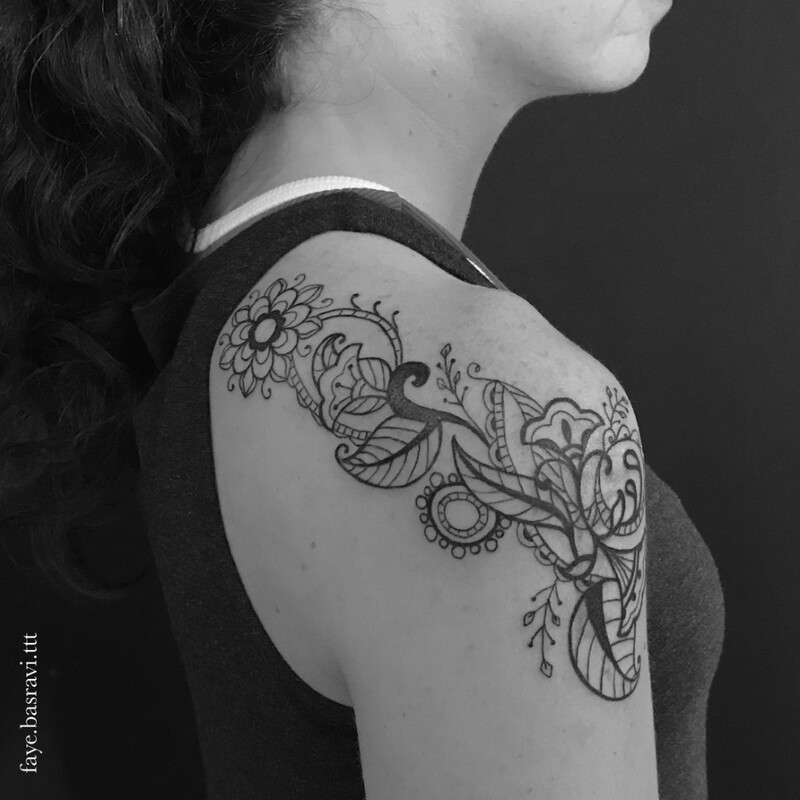 Shoulder mehndi-style ornamentation for Joana - thank you for the wonderful conversation! 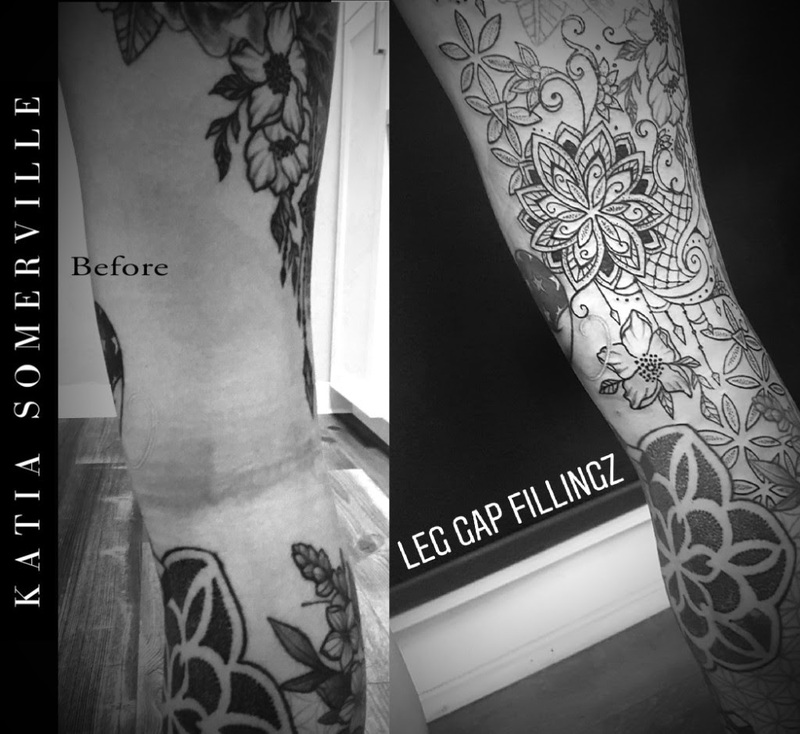 Gap filler mandala extravaganza!! When we started this project, Dee had a colour piece with a grey-shading background that didn’t settle in optimally. 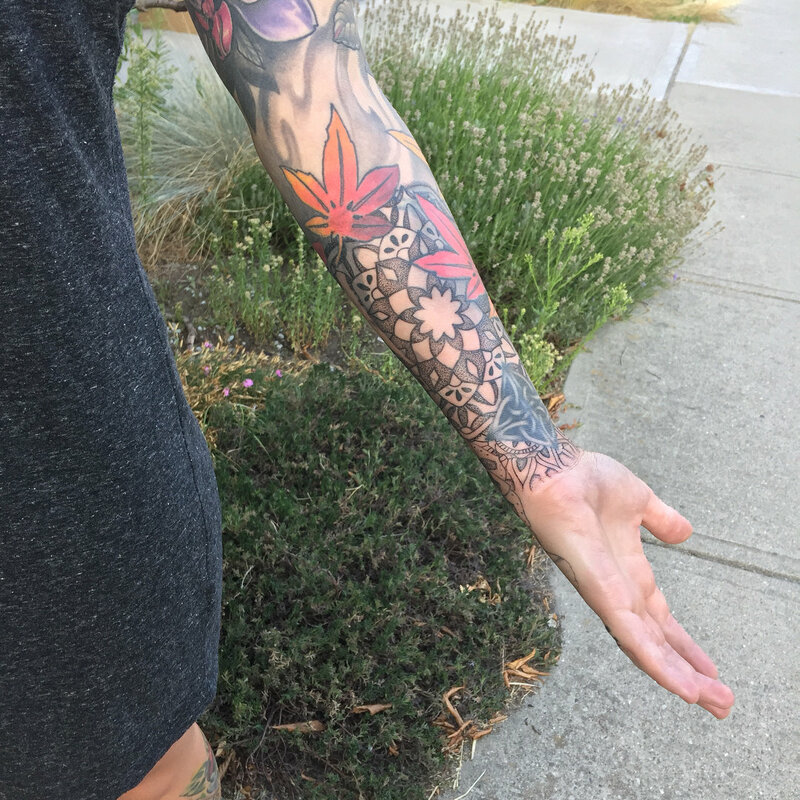 We added the hand hibiscus and black mandala/dotwork to make those gorgeous leaves pop. 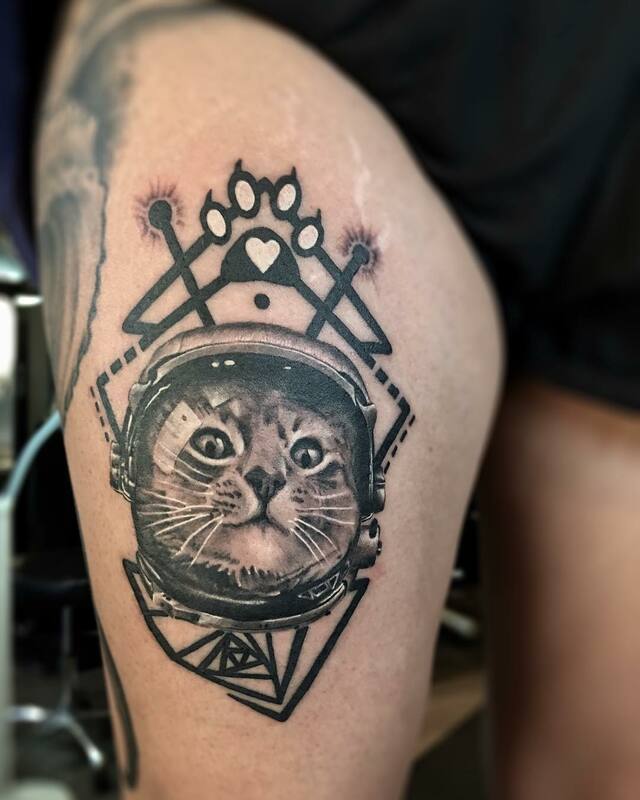 Thank you for your trust with this piece, Dee! 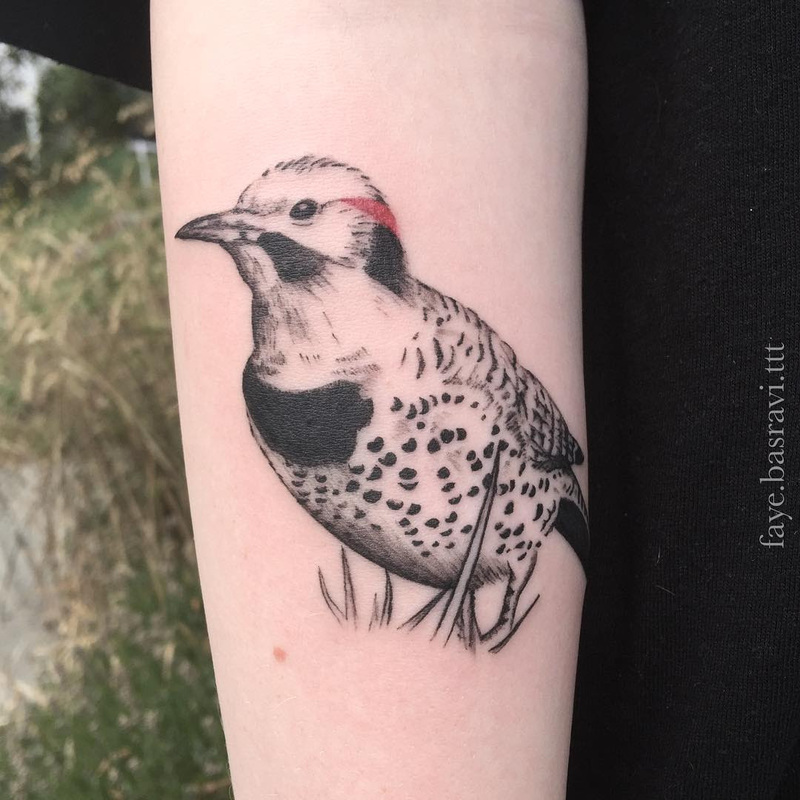 A lil' Northern Flicker named Jeremy. 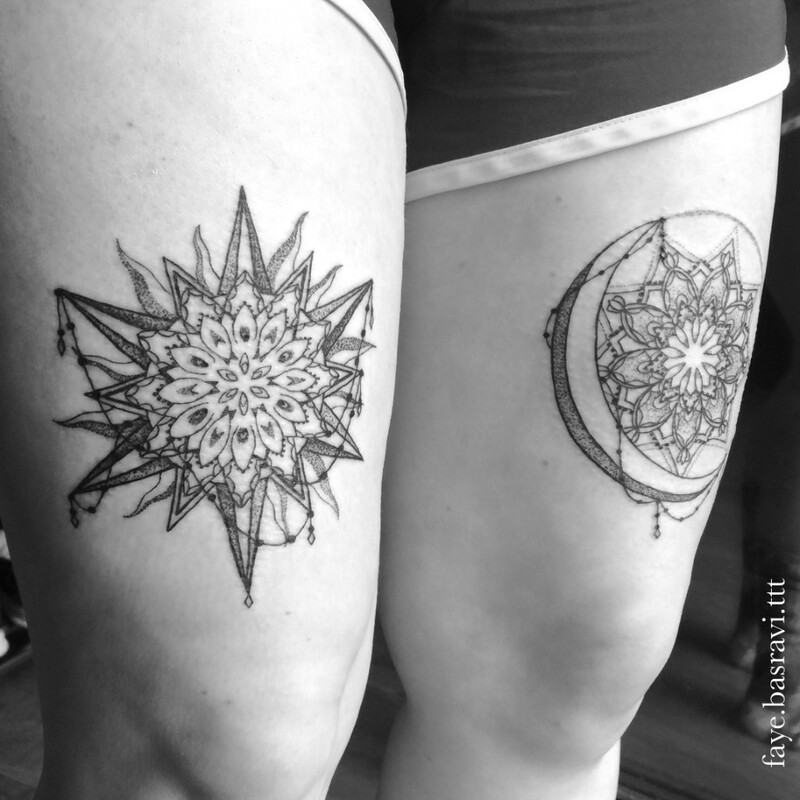 Delicate sun and moon designs for Vinita. 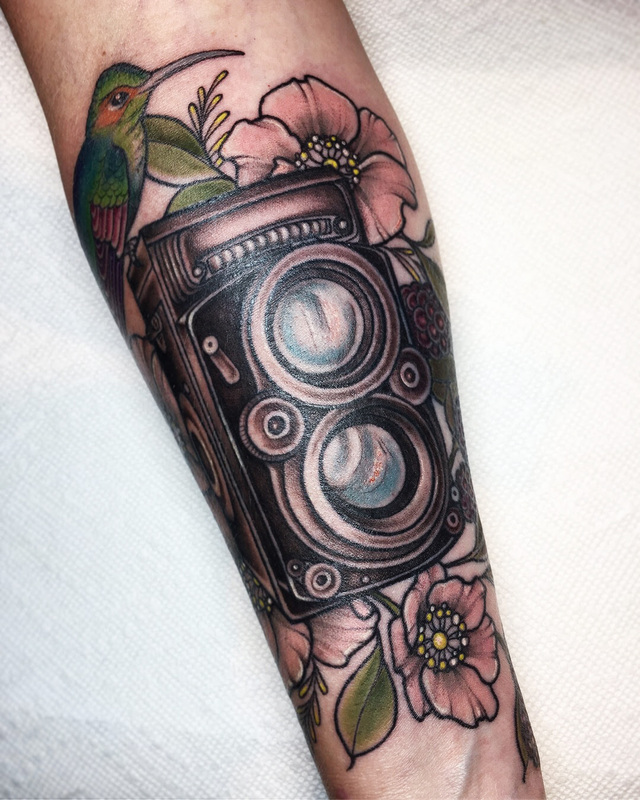 Vintage camera and lil hummer for Rhonda ! All the lines are healed, colour/ shading fresh! Please excuse the glare, this was a hard one to photograph. I had so much fun creating this ! I love doing colour so much and would love more opportunity to create pieces like this. 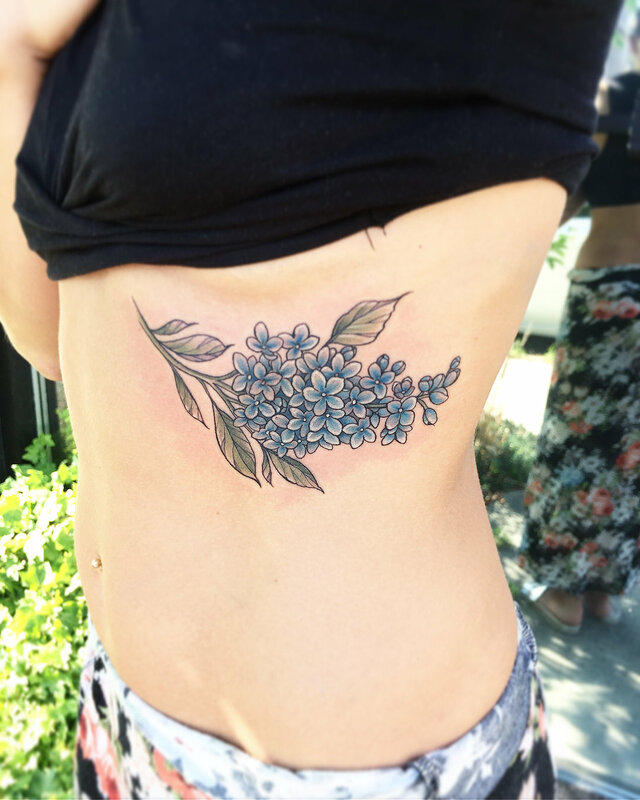 Sweet little lilac branch for a sweet lady! Thank you so much L! 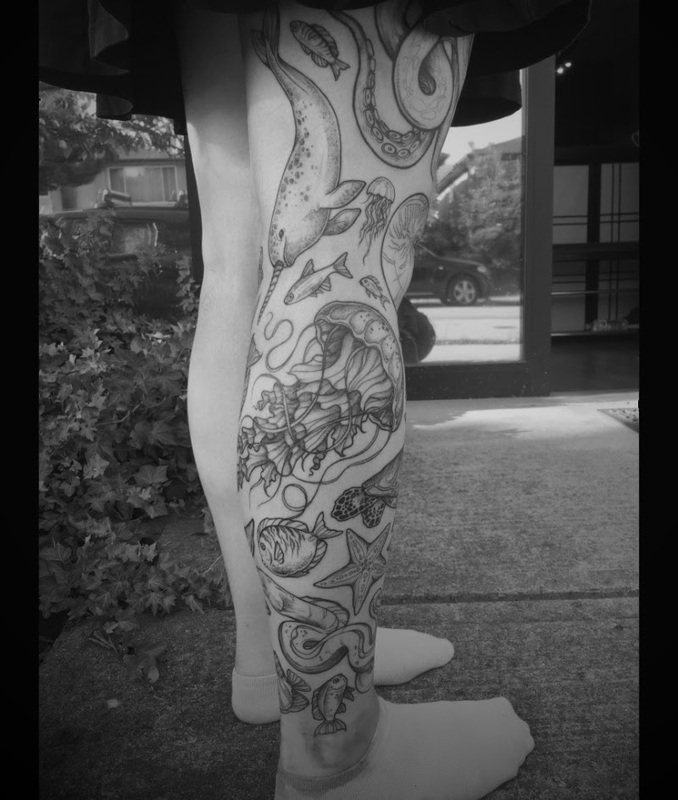 The sea creature legsleeve in progress for Elin! Some guys are healed and others fresh! 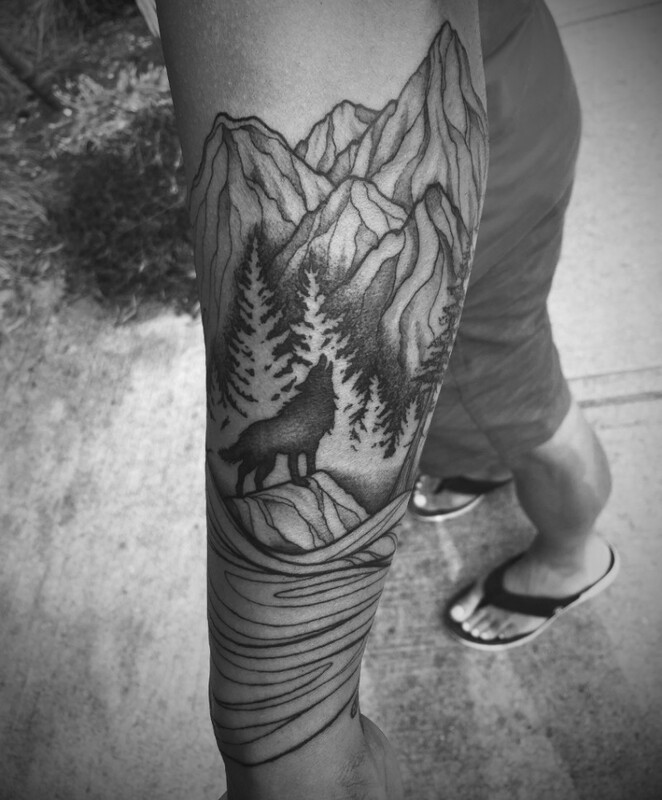 The beginning of a nature sleeve. 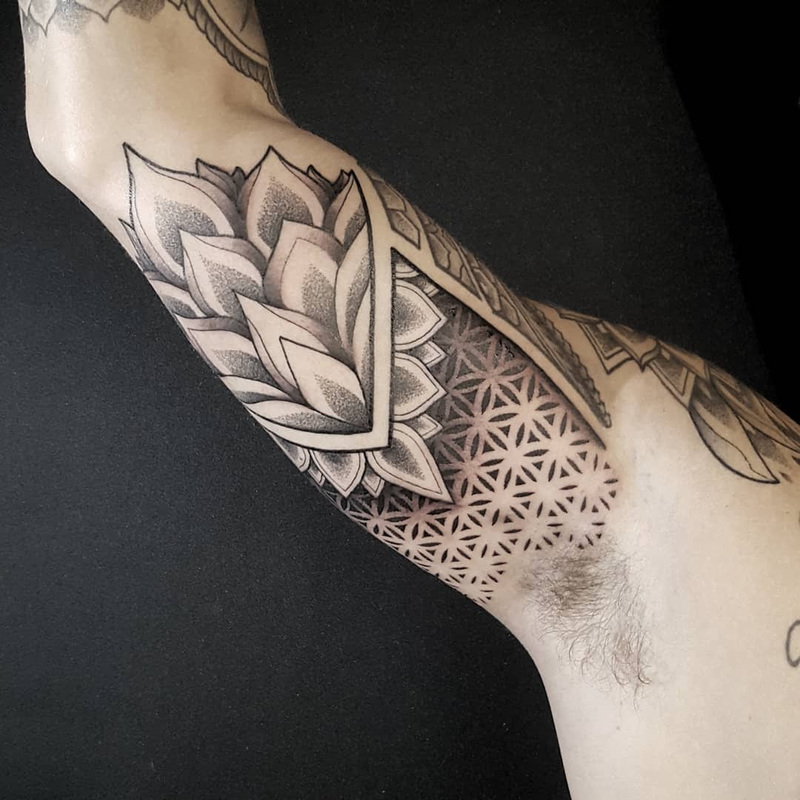 Lotus flower in mandala style. 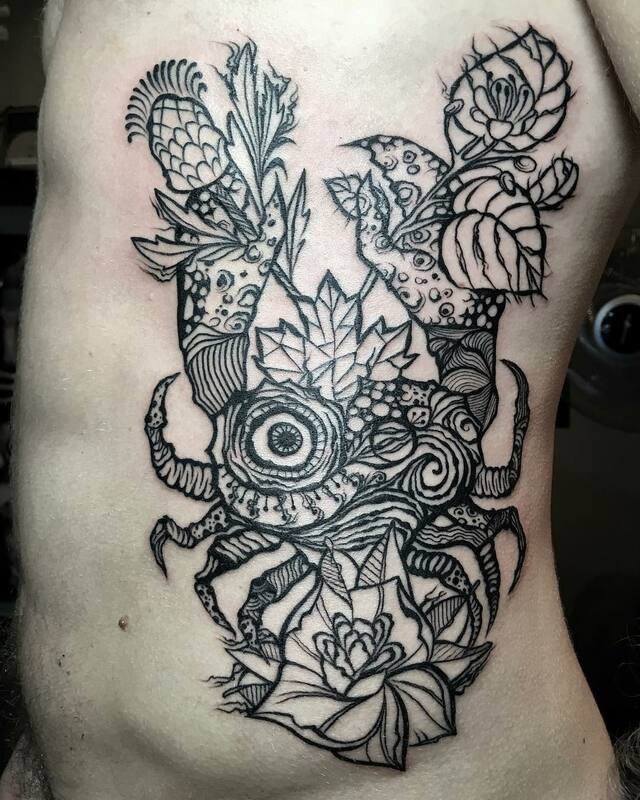 2 hours of pain and beauty are done. She loves her cat so much! He is a space hero now. 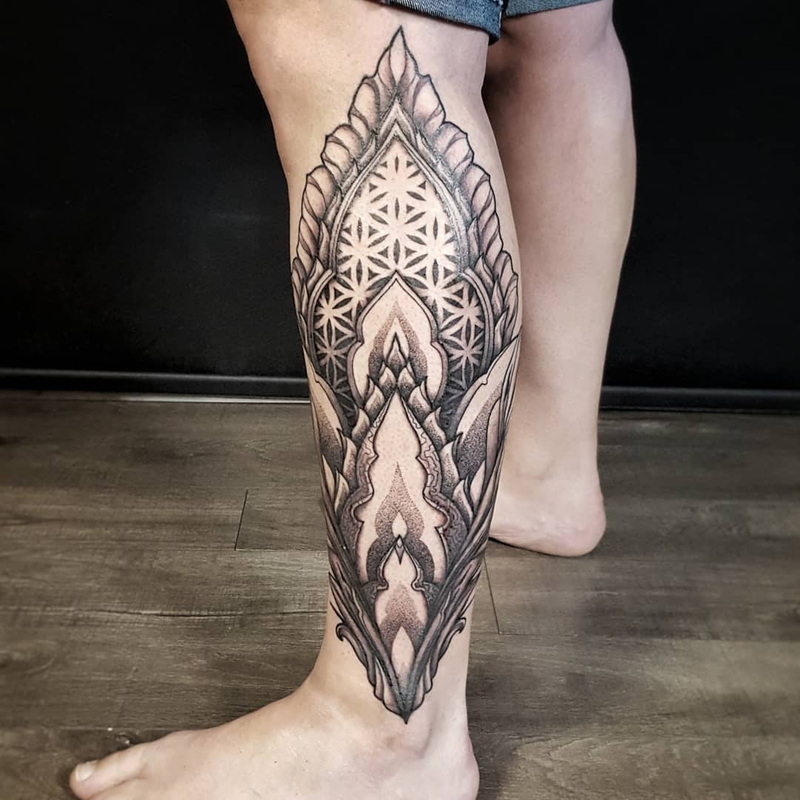 Custom abstract outline tattoo. This guy has been in different countries and there are some elements that belong to them. Let this rose see the world! 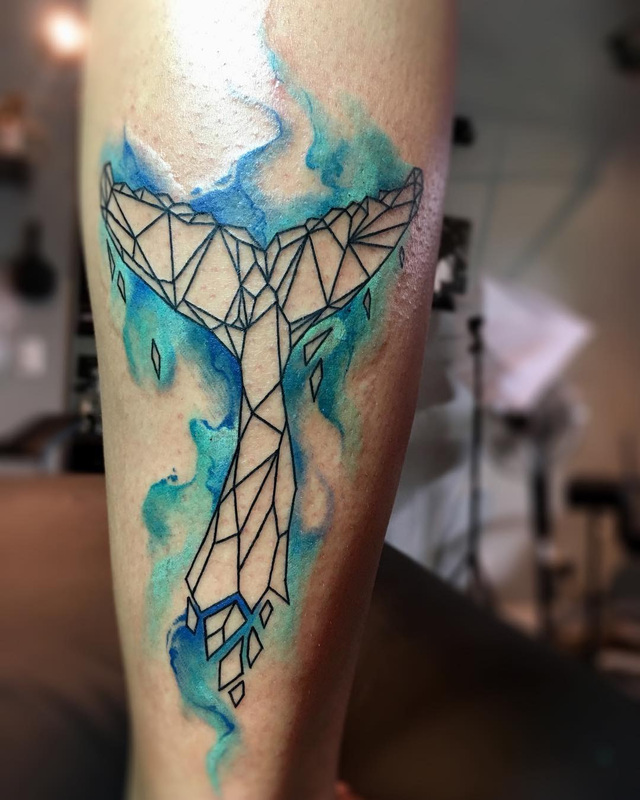 Minimalist tattoo. Nothing extra, only a whale’s tail. 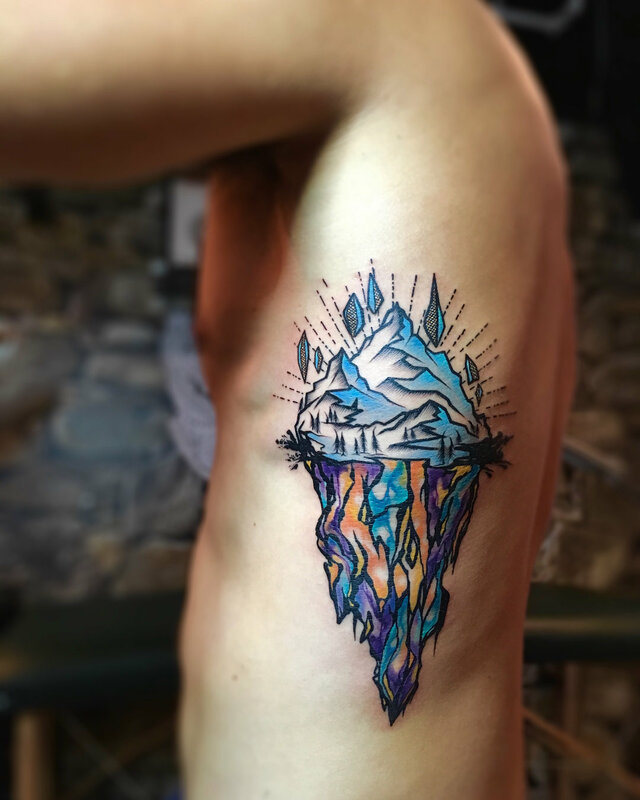 Mysterious, mountainous iceberg with trees and flying rocks in bold black lines and vibrant colours. He was dreaming about this tattoo for years. It’s pure pleasure to see a client’s eyes full of happiness. Custom design with vibrant colours. 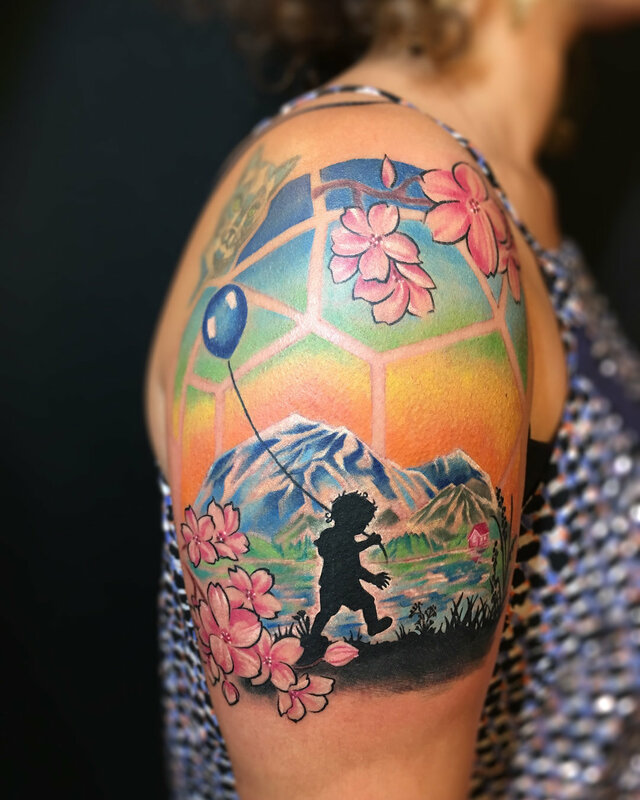 This is her son exploring such a beautiful world. Thank you for trust and patience! 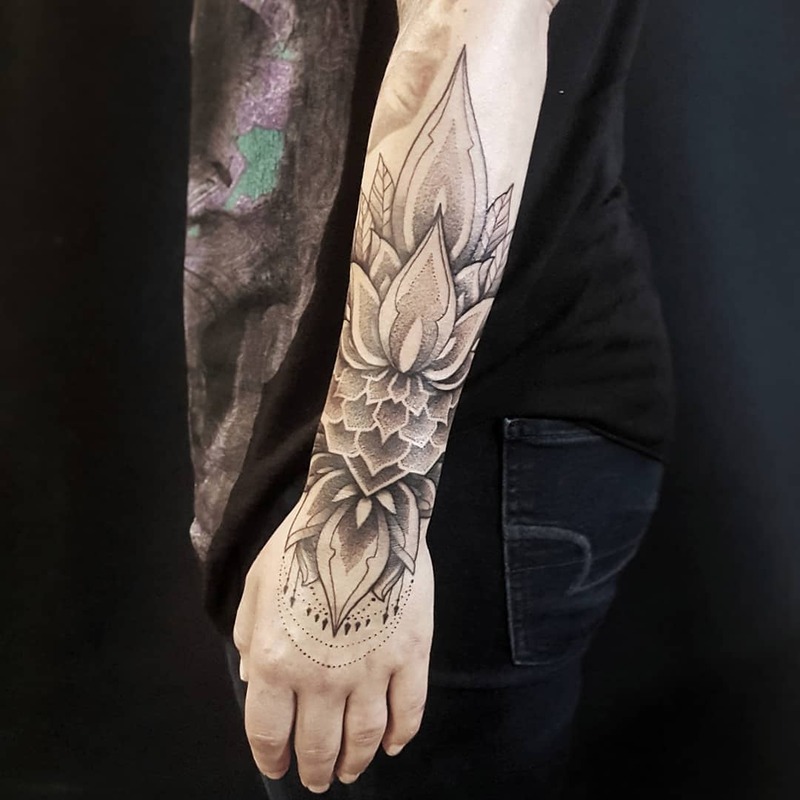 We gave a new life for the old pineapple tattoo. Refreshed lines with adding new elements. 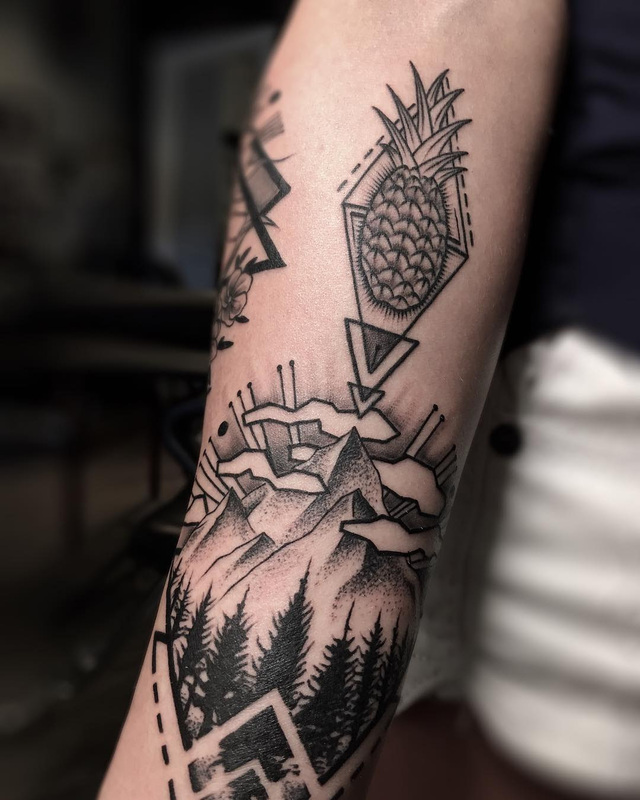 We also have made a new mountain tattoo and geometric rose behind. Awesome session!